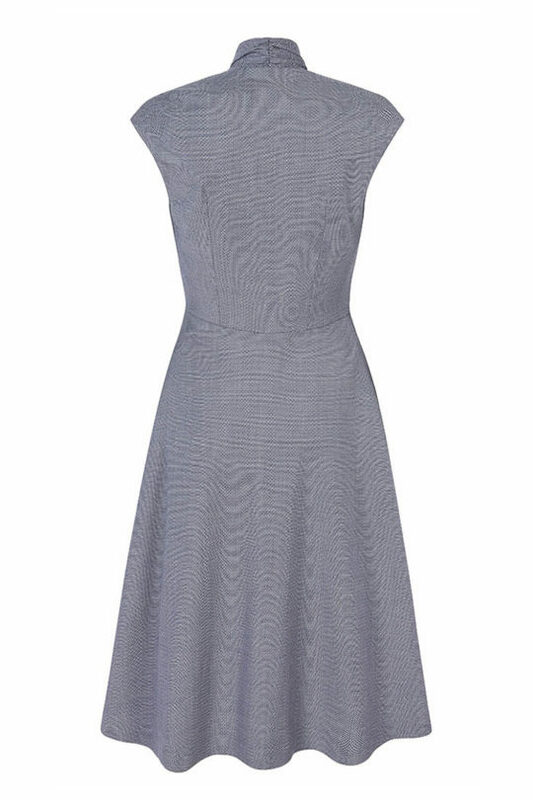 Fill your spring wardrobe with simple yet standout essentials. 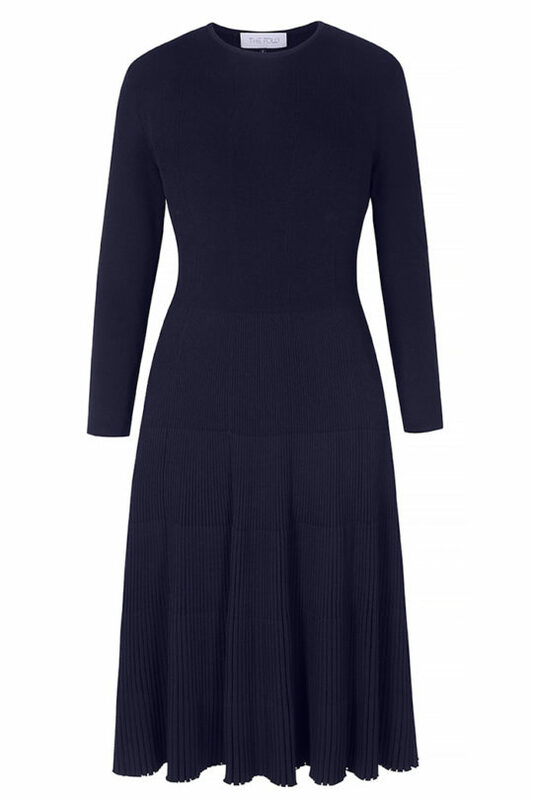 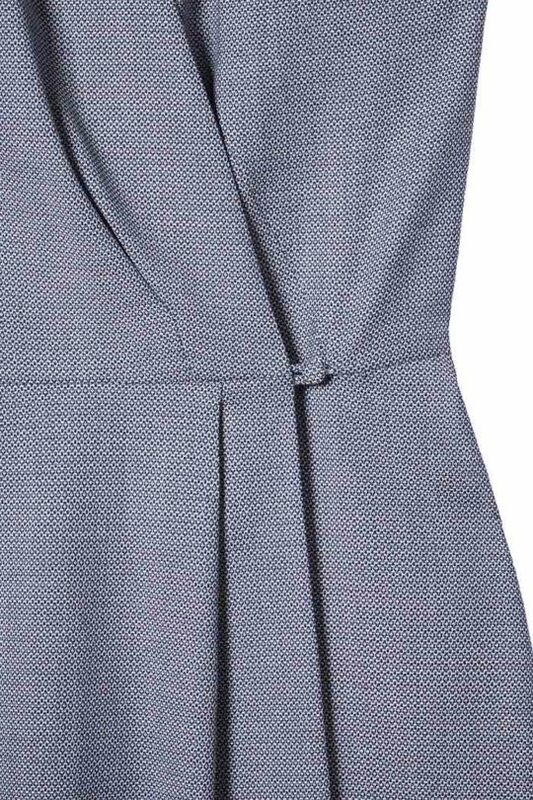 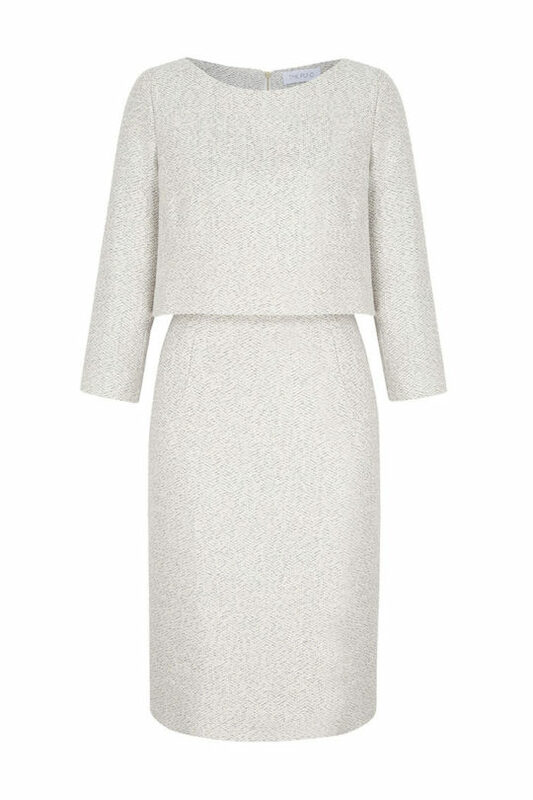 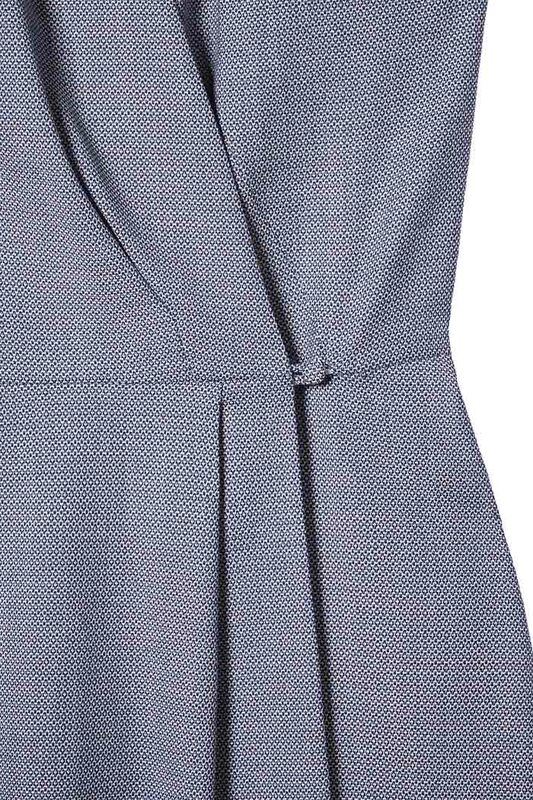 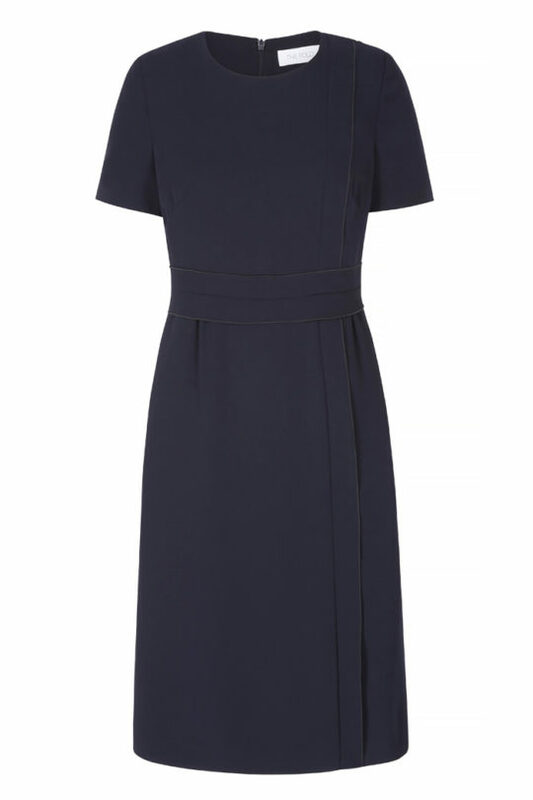 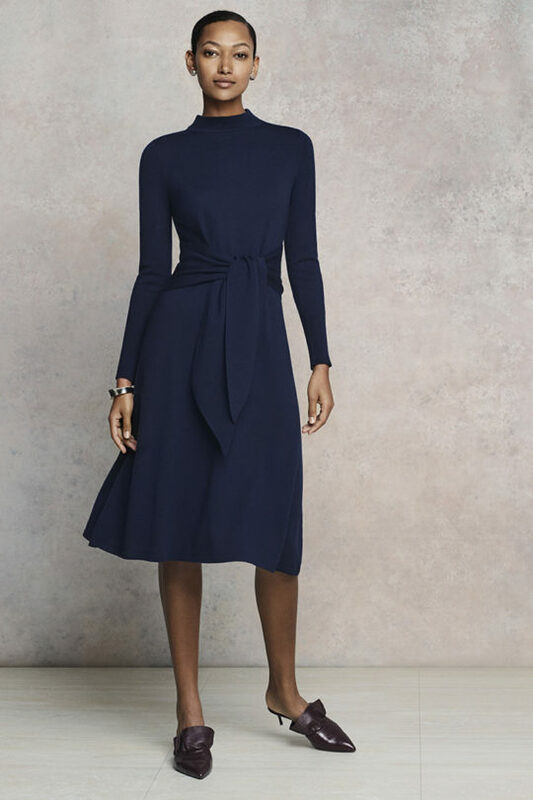 Case in point: the Hampton dress, skilfully cut from lightweight Italian jacquard in a refreshing shade of blue. 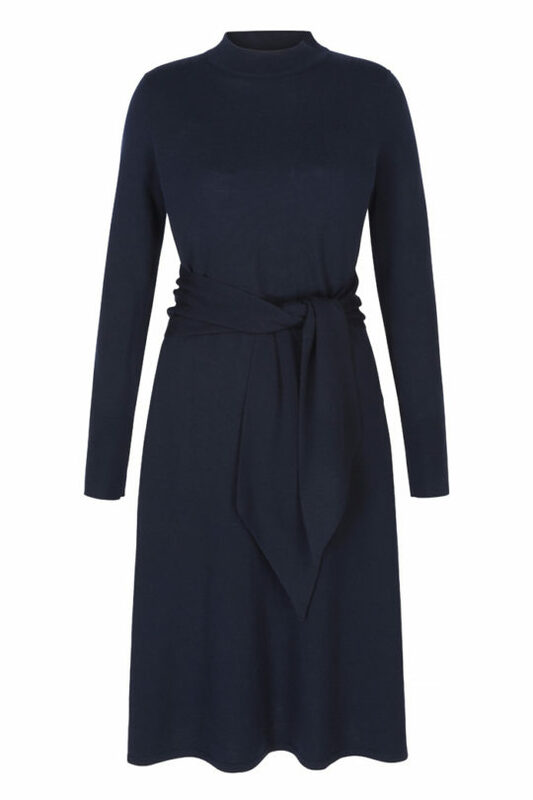 With a high V-neckline and draped wrap front, it is incredibly flattering and easy to wear. 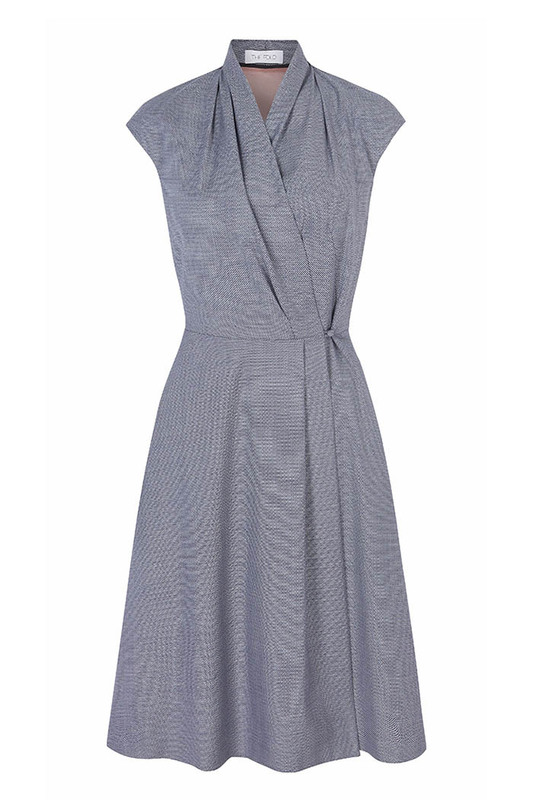 Styled here with the Britten Belt Tan.